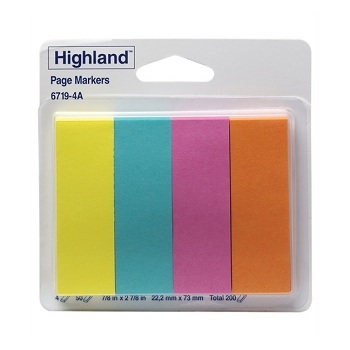 Quality Highland™ brand page markers from 3M at an affordable price. 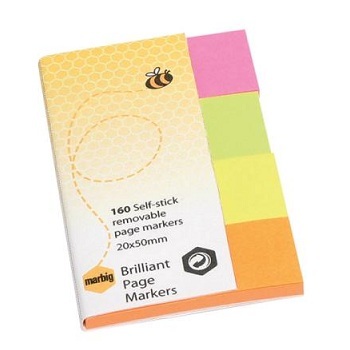 Bright Colours removable, self-stick economy page markers. Pack of 4 x 50-sheet pads in yellow, blue, pink and orange colours. Quality self-stick repositionable page markers that stick again and again. Multi-coloured to code work and ensure notes stand out. Brilliant Bright Neon coloured page markers. Booklet of 4 x 40-sheet pads in bright pink, lime, yellow and orange. 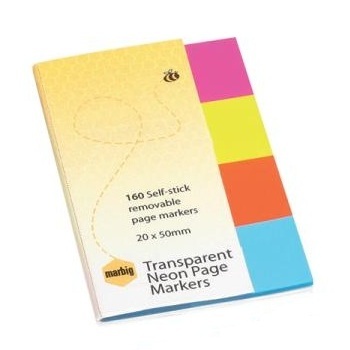 Transparent Page Markers are easy to write on and you can still see the message underneath. Can be used as bookmarks to mark a page in documents, reports, etc. Bright Neon coloured page markers. Booklet of 4 x 40-sheet pads in neon pink, yellow, orange and blue.